Come to The Green – We meet at 10pm for about 30 minutes prayer and it is very encouraging when others gather with us to pray beforehand. Observe a duty – with prior agreement from the Management Team come out to observe a duty. It may be nothing like you imagine! 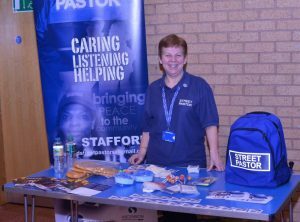 Consider becoming a Street Pastor – Full and thorough training is given and uniform is provided.It is one of the most rewarding and varied experiences you may ever have. Join our Prayer Team – We would love to have even more people praying for us whilst we’re on duty, at home or at The Green.